By now, most of the Democrats running for president in 2020 have announced their early fundraising hauls. And folks, the Washington Post reports that that means we’re in for a long one. In short, this is what we already knew: there’s a shitload of candidates and they all have some money. 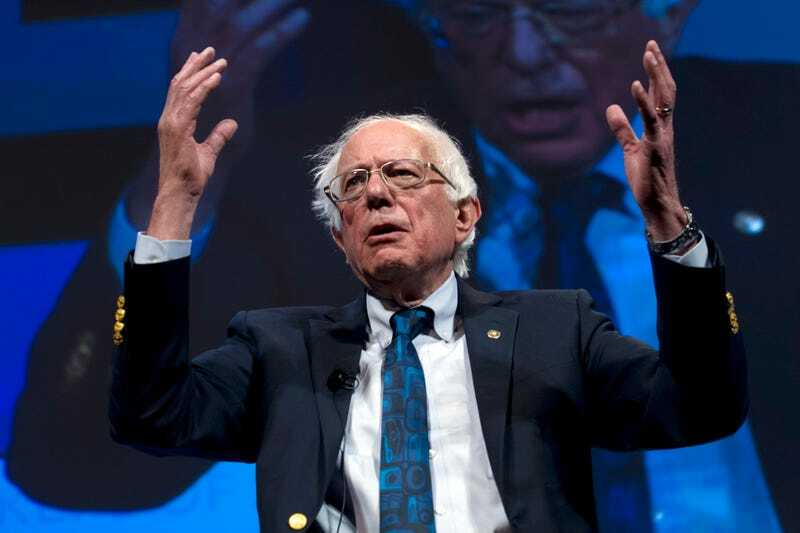 What’s interesting is that despite this talk of a “crowded field,” Sen. Bernie Sanders has way more cash than anyone else in the race, with $18.2 million. Sen. Kamala Harris, per the Post, is sitting at $12.4 million. Seems like we could... just call Bernie the frontrunner here, but sure, whatever, let’s keep waiting for Biden’s announcement; as the Post notes, that’s exactly what the rich lib donors are waiting for. We have yet to begin, but already I am so tired.